I heard earlier from some Ron Paul supporters that Obama believes government’s JOB is to redistribute wealth and “punish” people who do well in America! That is Orwellian doublespeak designed to instill a sense of fear towards anyone with the aim to help the less fortunate in society. Those who talk about the role of government in “redistribution of wealth” are playing into the hands of a corporate structure that ONLY respects the profit motive, without any social responsibility. Don’t any of you sheeple see it? Milton Friedman worships at the altar of “the only responsibility of business is profit,” and roundly criticized by people who are REALISTS, not theorists. What did the “unregulated free market” bring us? The crash of ’29! What did the deregulation of the housing market of the Bush years bring us? The housing crash of ’08. Now you are crying that we need LESS government regulations? 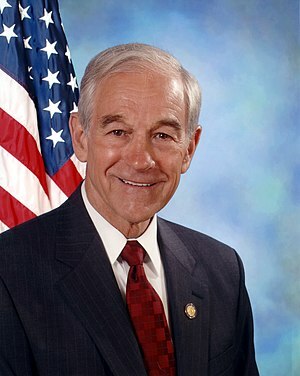 Does Ron Paul have the answers? NOPE! And when we go back to the gold standard, as Paul is advocating, who is going to stabilize the economy for the… oh… 5-7 years it will take society to “readjust” to a new economic reality? Having a couple of months of salary in the bank is not gonna cut it, because the value of the dollar will plummet! But that’s OK with the Paul-toids!